We are an acclaimed entity, engaged in offering a wide range of CBN Coated Insert. Capitalizing on the ability of our skilled personnel, we are keenly instrumental in delivering a comprehensive array of CBN Inserts. SK Cutting Tools Solution Pvt. Ltd. 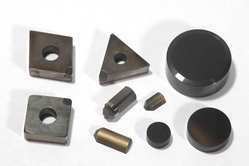 These PCD & CBN Inserts are famous for their easy maintenance and are commonly used for machining and cutting hard materials, sintered metals, super alloys, hardened steel, and cast iron. 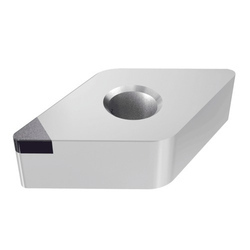 Being a well-distinguished company in the market, we are into offering CBN Insert. SNEN inserts, SNGN inserts, carbide drills from 3mm to 30mm diameters, PCD inserts for valve guide and valve seat, special boring . we use take project in industries to reduce CPC in machining process . We are offering CBN Inserts to our client. - Usage: wood cutting tools, clamped inserts, milling & turning inserts, etc. Being one of the trusted organizations in the market, we are engaged in providing a wide range of CBN Inserts. This range includes all types of turning inserts (including PCD and CBN inserts) and turning tool holders for external turning and internal boring. WIDIA™ Victory turning grades and new geometries deliver higher productivity through reduced cycle time, long tool life, and improved chip control. (Cubic boron nitride) offers great hardness and abrasion resistance, coupled with extreme chemical stability when in contact with ferrous alloys at high temperatures. It has the ability to machine both steels and cast irons at high speeds for long operating cycles.